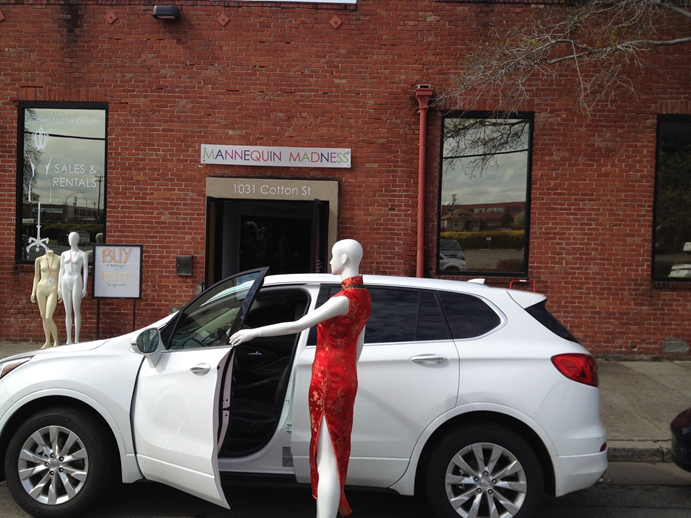 There are lots of used mannequins for sale at Mannequin Madness but it might not be convenient for you to come here – especially if you don’t live in the area. But if you have FaceTime, Skype or Facebook messenger we can give you a live video tour of the used inventory we have for sale in our Oakland warehouse. We started this because we don’t always have time to photograph all the truckloads of mannequins that arrive. Here is a brief video snippet so you can get an idea of what we have. 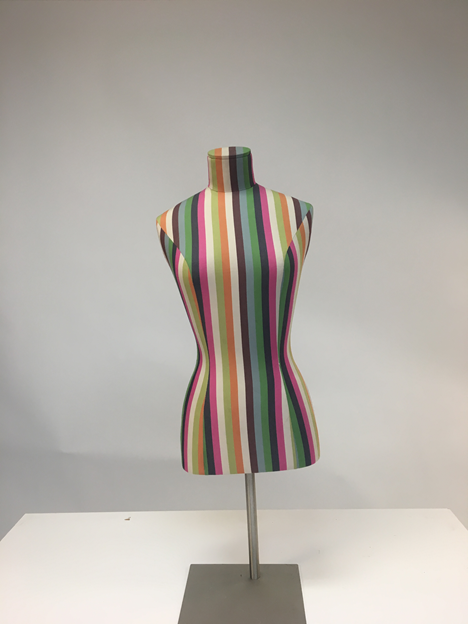 And when we get one of a kind items like this striped dress form, we usually don’t usually post them online anyway. We typically post items that we have multiple quantities of. So we might have something you want, at the price you want, but unless you are able to come to our warehouse in Oakland, you don’t know that we have it. Here is another video snippet of more items in our warehouse.